Images after removal from barn. Above: Note the rear rim only for the trailer ride. Photo Courtesy Le Hodge. Above: Barn find display at Carlisle 2010. 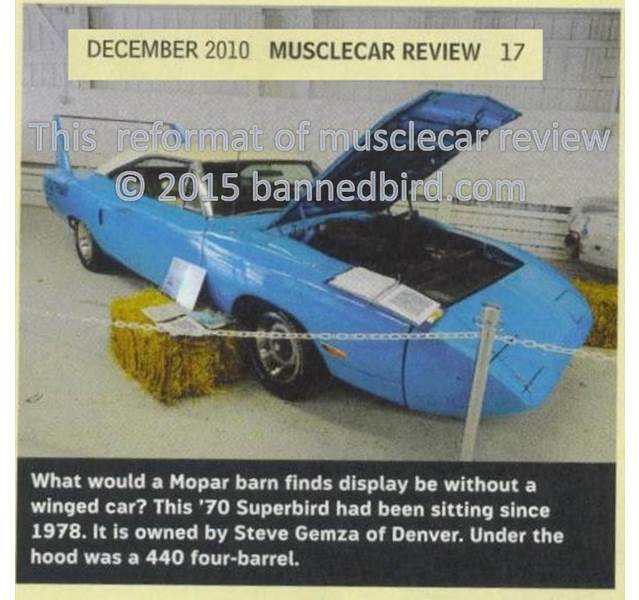 Scan of magazine courtesy of Steve Gemza (owner in 2010). 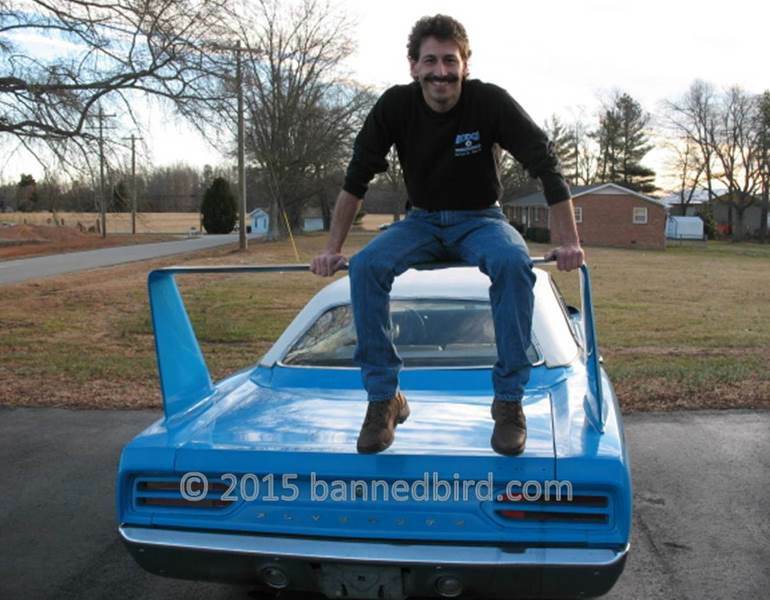 Above: Le Hodge doing a traditional Superbird owner pose. Le didn't send this one: it was found deep in his web site's photo archives. Believe taken in 2007. 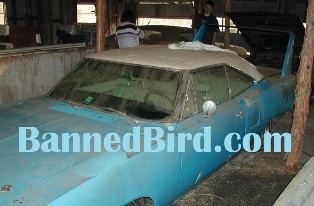 Le's shop is currently doing another Superbird restoration. Above: Next to the Le Hodge shop. Photo Courtesy Le Hodge. 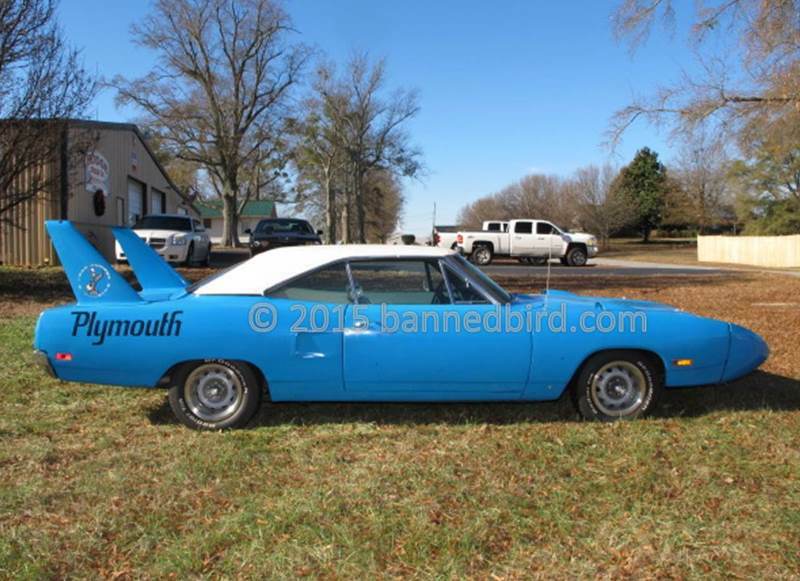 The Superbird with nice rims is looking pretty good in these pictures. Often referred to as "Mint; at 20 feet", it looks show worthy. The black Plymouth decal obviously sitting too high up on the quarter panel. Although not in the correct "stock" location, it could be high up to allow additional decal(s) below it. Such as the "Plymouth by Petty", a lower decal could have once been there. 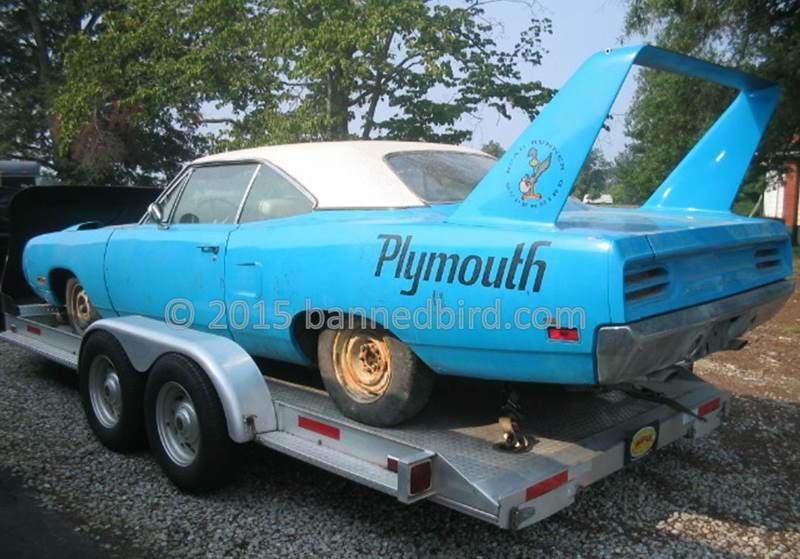 It could explain why, or maybe just Superbird owner's preference.